Thomson Geer has announced the appointment of new Sydney corporate partner Gaynor Tracey, who joins the firm from Baker & Mackenzie, where she was a senior associate in the corporate team. Tracey, who specialises in mergers and acquisitions with a private equity focus, is set to strengthen the firm’s national mid-cap focussed private equity team. She has extensive experience in providing corporate advice and acting on a broad range of corporate transactions in the Australian and UK markets, including advising on both domestic and cross border acquisitions and disposals, corporate restructurings, securities governance work, shareholder and joint venture arrangements and incentive arrangements. She’s acted on a wide spectrum of clients including national and international private and listed companies, and private equity funds and management. It’s an exciting time to be joining a rising independent Australian law firm, says Tracey. “Thomson Geer is the ideal place to build and develop my practice. It offers full service quality specialist technical skills combined with a value driven approach. 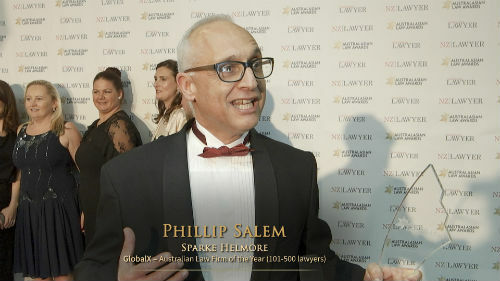 The firm’s chief executive partner, Adrian Tembel, told Australasian Lawyer he was convinced of the lawyer’s talents after working against her. Tracey’s appointment helps the firm in its quest to constantly build diverse and well balanced teams. “All our thinking is long term, we continuously invest around our views of long term structural shifts in the economy,” says Tembel. He says Thomson Greer will “possibly” build its private equity team up further in the future.